High-strength metal dice/mini box is secured by a black zipper around the edge, make the box even more resilient when carried in backpacks or lugguage. Each box can easily carry up to 30 dice or a variable number of minis, chips, tokens...... 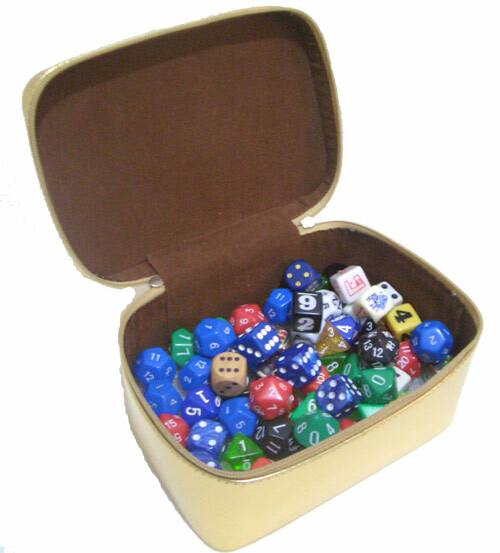 Try out this wonderful box - you won't regret it! 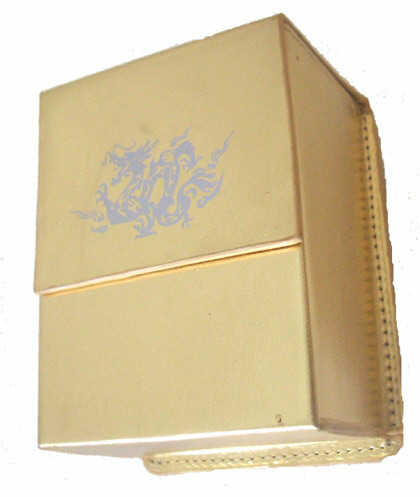 Now, you can buy the Deck Box printed with your own logo or company name with the minimum order of 100 pieces only. 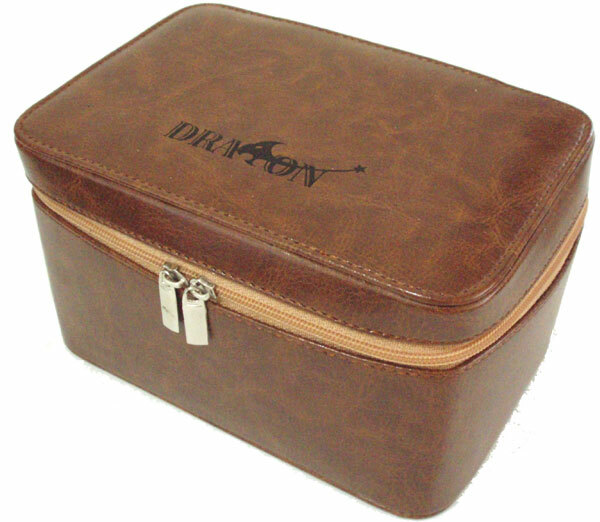 To make your private label, please contact us at any time. 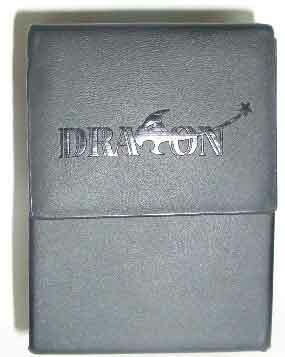 This logo is made by other company and not for sale. 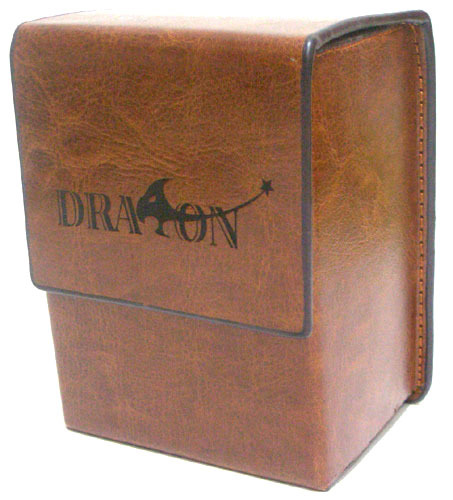 Made of leather with magnetic closure. 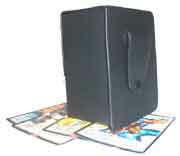 It is secure even shake or throw the box. 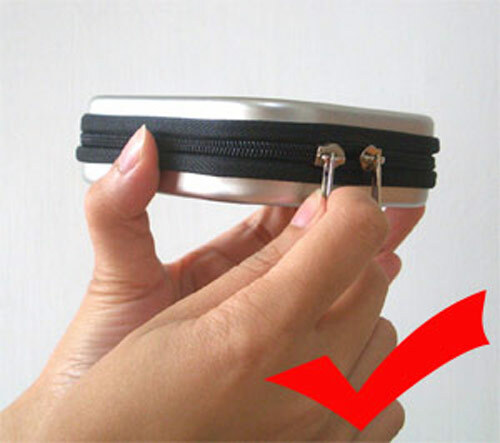 With clip in the back that you can hang it in the belt. It is solid and easily carry up to 120 cards with sleeves. 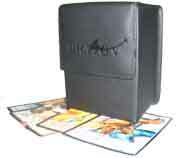 It is a perfect size for most trading card game such as Magic the gathering and Yu-Gi-Oh. 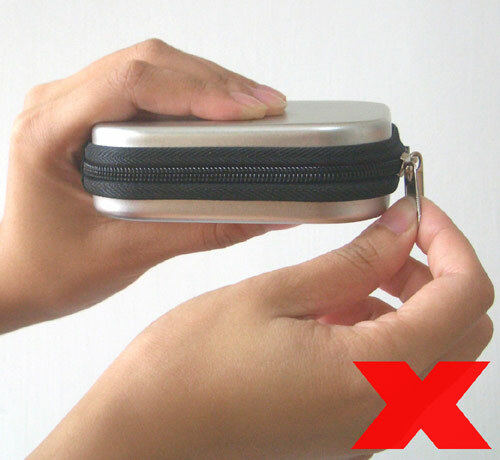 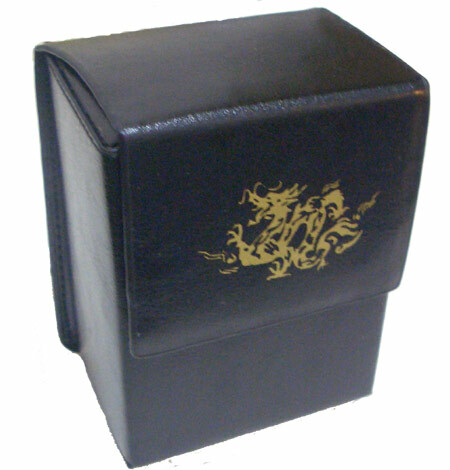 Abandon the velcro closure and try to use this new design magnetic closure leather box. 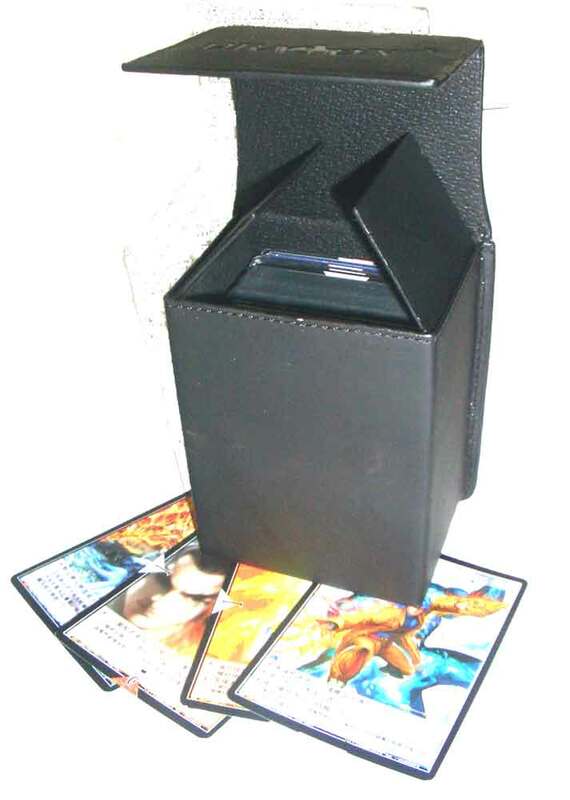 It's magic ! 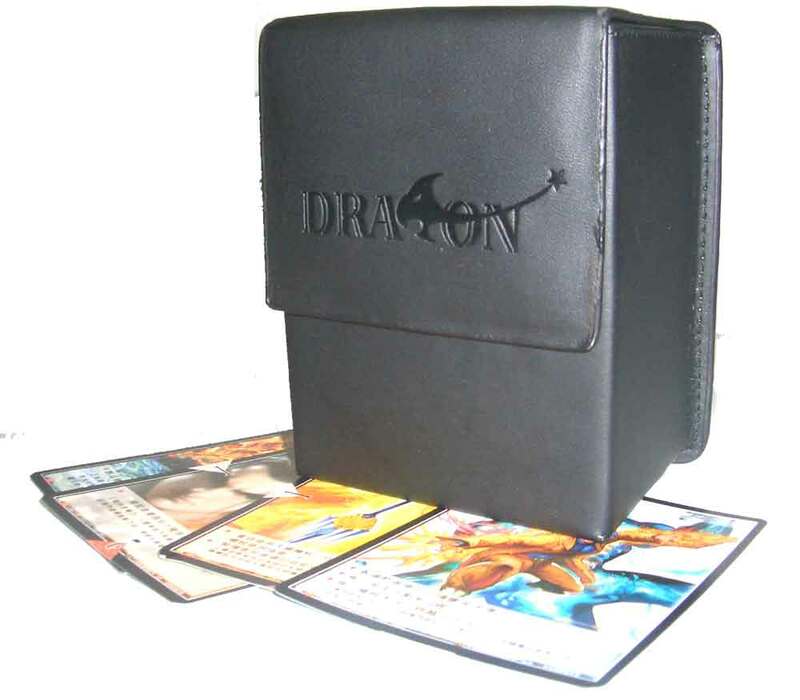 Now, you can buy this Game Accessory Box embossed with your own logo or company name with the minimum order of 100 pieces only. 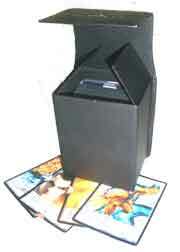 To make your private label, please contact us at any time. 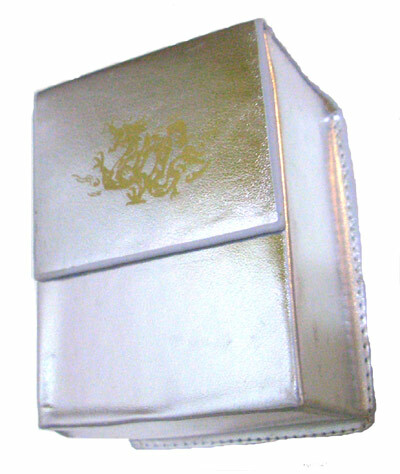 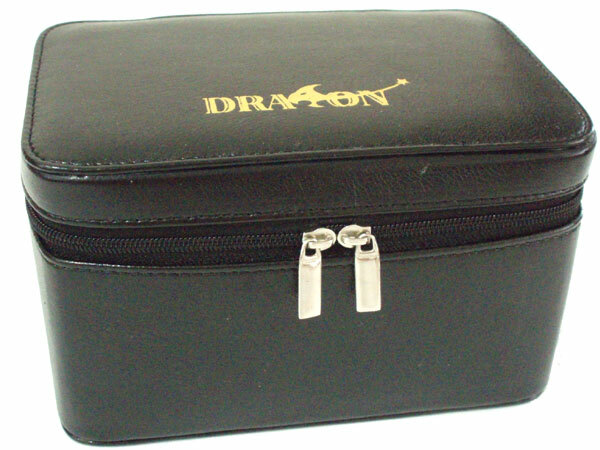 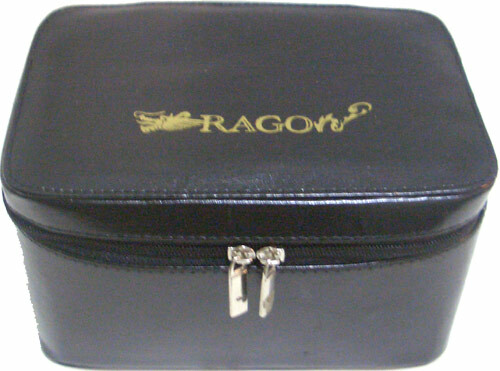 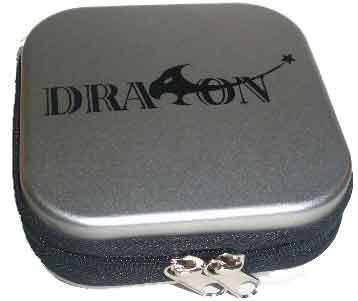 A handy high quality zipper leather box with "Dragon" printed on it. 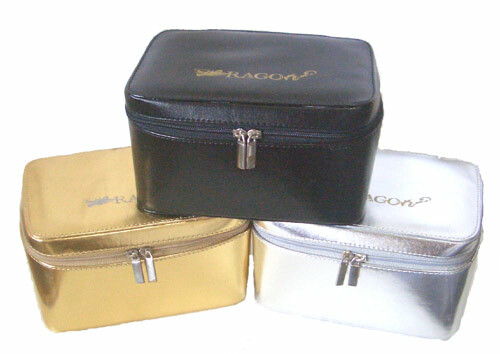 Velour inside with two zipper. 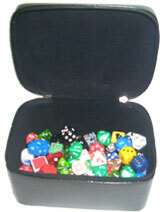 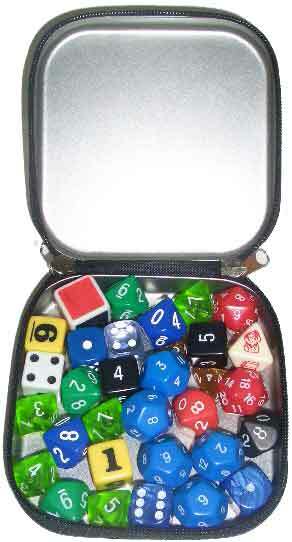 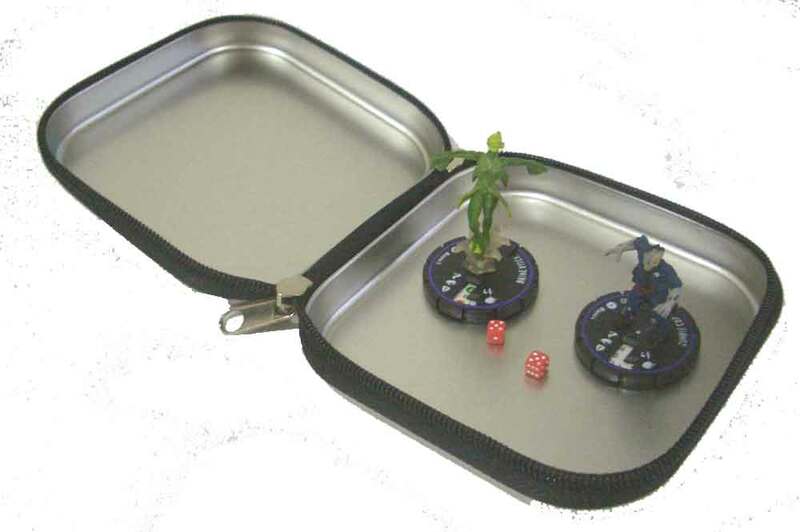 Plenty room that you can carry up to 150 dice, numerous of minis, chips, tokens or cards. 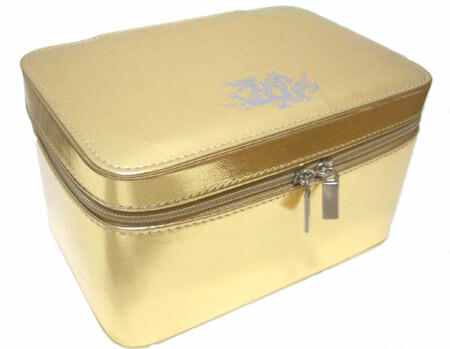 Aristocratic design to store your valuables.